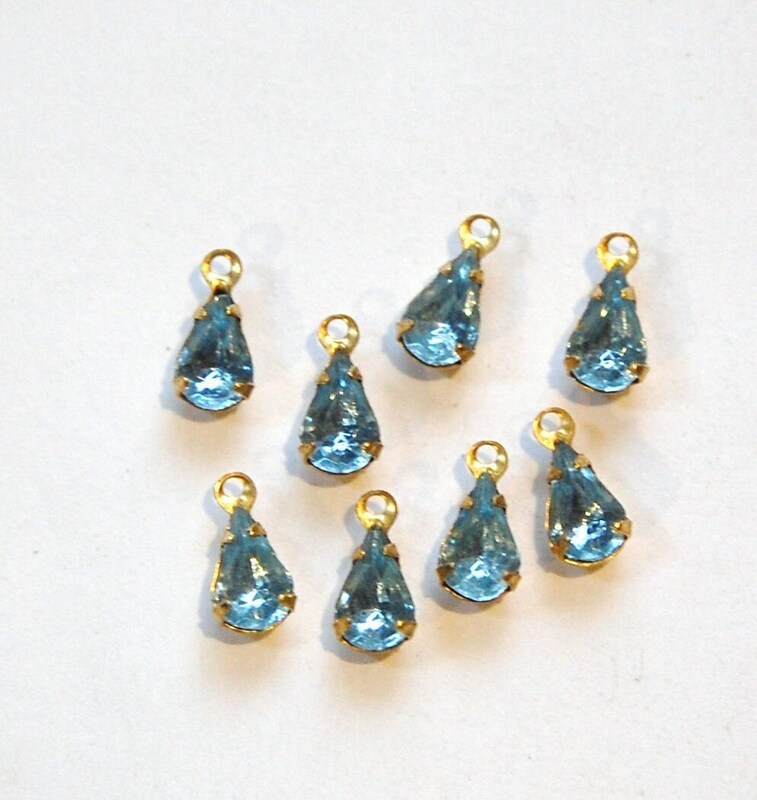 These are vintage light sapphire glass stones set in a one loop brass setting. The stones measure 8mm x 4mm. You will receive 8 of these. Love these jewels! Fast shipping too!! !